Fulham owner Shahid Khan has rejected reports that he is set to sell the club to buy Tottenham in a bid to use their new stadium for his NFL team, the Jacksonville Jaguars, to play in England. 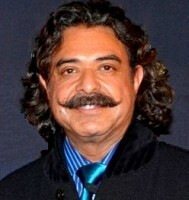 Khan, who took over Fulham from Mohamed Al-Fayed in the summer of 2013, brought the Jaguars to play at Wembley that same year and they are now the most popular NFL team outside of America. Last month, Tottenham announced that a 10-year partnership had been agreed with the NFL for American football games to be played at their new ground, which will hold around 60,000 spectators and is due to open in 2018. Some reports suggested that Khan was looking to make that his permanent home for the Jaguars, but he told The Times that Jacksonville will play at Wembley until 2030 and that he has no intention of quitting Fulham. "You can't correct every rumour, but I was surprised and had to consider the morale of the people at Fulham and the people at Wembley, so we called them out on it," Khan said. However, Khan's spokesman Jim Woodcock said in a statement to CBS Jacksonville that any agreement with Wembley is not final, and talks are ongoing about where and how often the Jaguars will play in London. "There is no agreement but discussions have been frequent and promising," the statement said. "Shad and the Jaguars have been clear that the London agreement has been extremely successful and essential to the local revenue streams and long-term viability of the franchise in Jacksonville, and that an extension of the current agreement would be welcomed. "That said, this is ultimately a decision that will be made by the NFL. The one thing that is certain is Shad's commitment to the Jaguars and Jacksonville is as strong as ever." The NFL has found huge success in coming to England and Khan is focused on how to make Wembley a central part of the game's future in the country. "It's been beyond expectation, we've seen a dramatic shift," he added. "Wembley has been a big part of this. It's a world-class national stadium. Now it's, 'How do we make the Wembley NFL experience even better?'"